I met American expat Tara Hopkins not long after I moved to Istanbul, when she had recently founded Çöp(m)adam, a path-breaking social enterprise that combined women's empowerment with environmental responsibility in a way largely unknown in Turkey. I knew from the start that it was a great story -- one that finally found a worthy home this year in the U.S. women's magazine More. 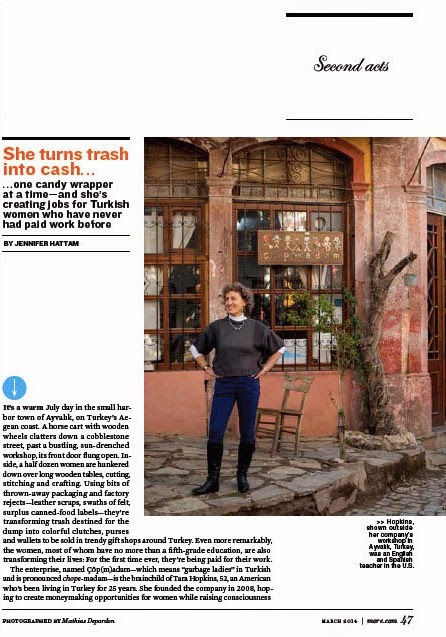 To write the profile of Hopkins and her talented team of "Garbage Ladies," I spent time at their workshop in the seaside town of Ayvalık, hearing heartbreaking and inspiring stories about the women, their families, and their new lives. 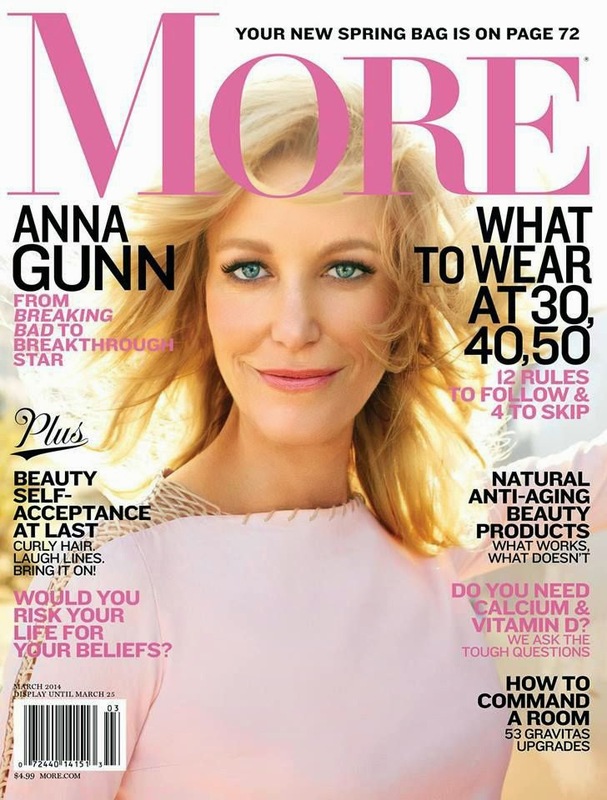 Read my article about Çöp(m)adam, "She Turns Trash Into Cash..." as it appeared in More magazine's March issue (pdf).